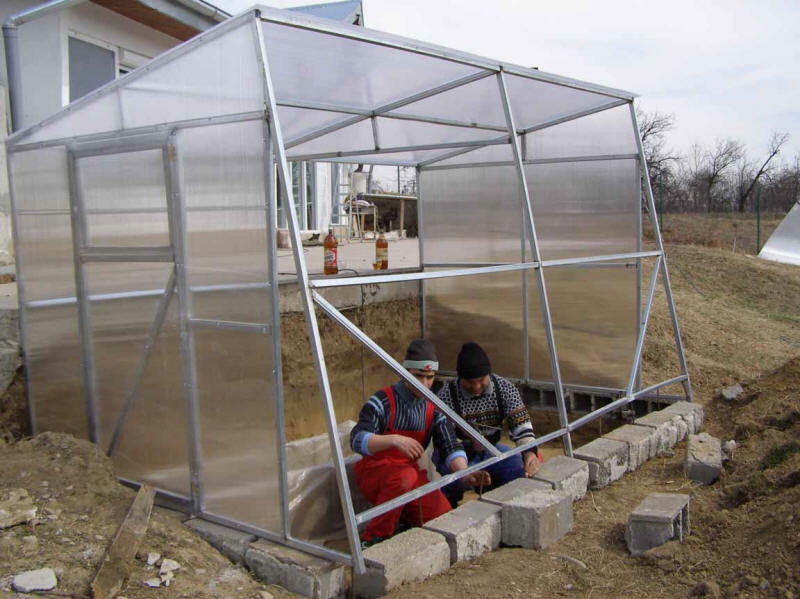 Cristian gives a rundown on the greenhouse he has added to his earth sheltered home below. 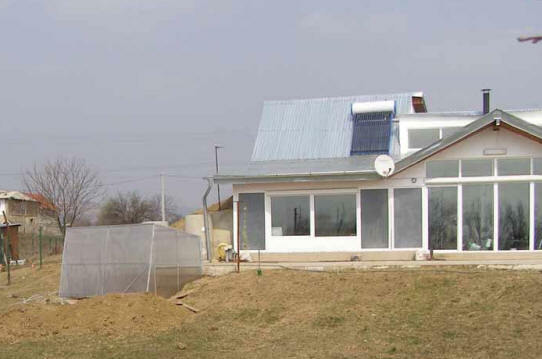 As I promise, here are the pictures of my new green house. 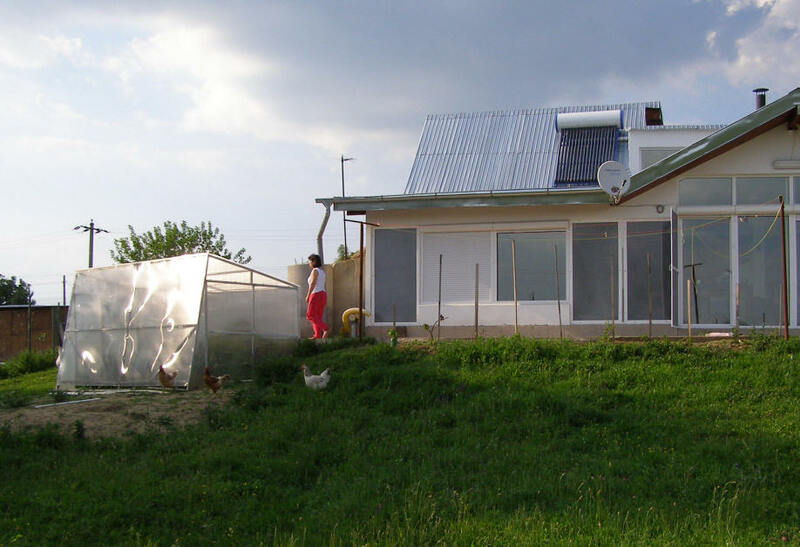 In sunny days (especially in summer) will pump heat under the house. 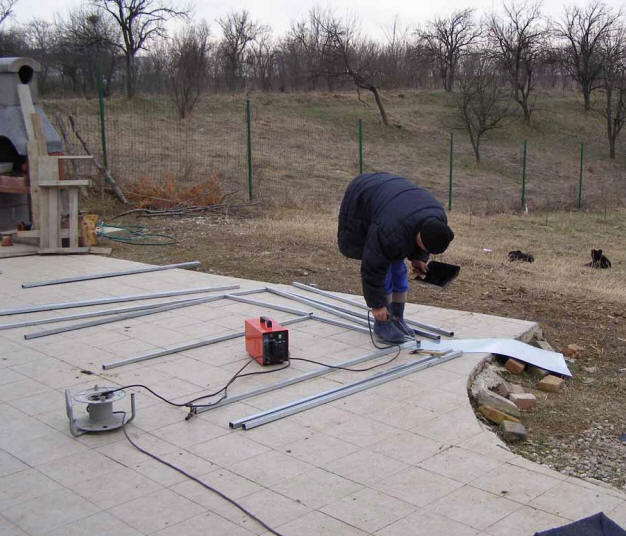 Tiles from the deck are excellent for parallel or perpendicular alignment of metal bars welding. The zinc-coated metal bars were bought from junk yard. 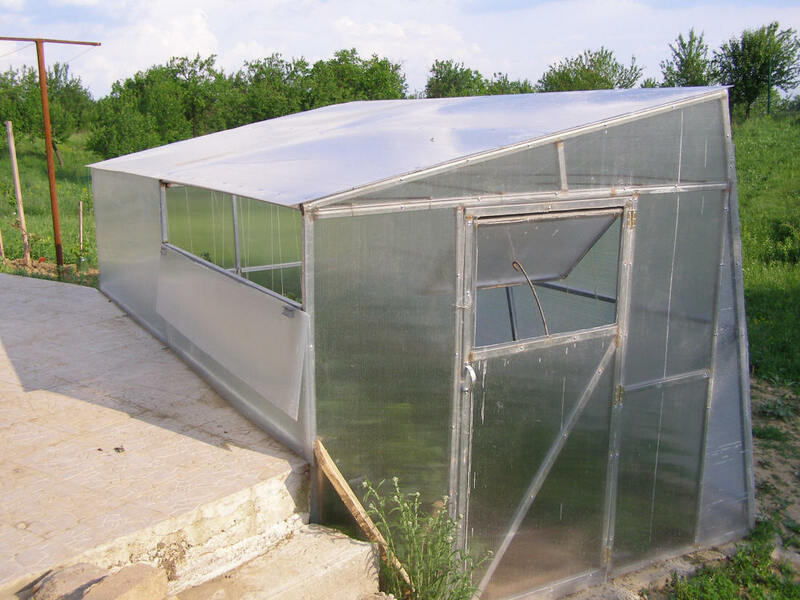 Finally, I have under one meter of scraps Zinc is an good protection in a moist green house climate. 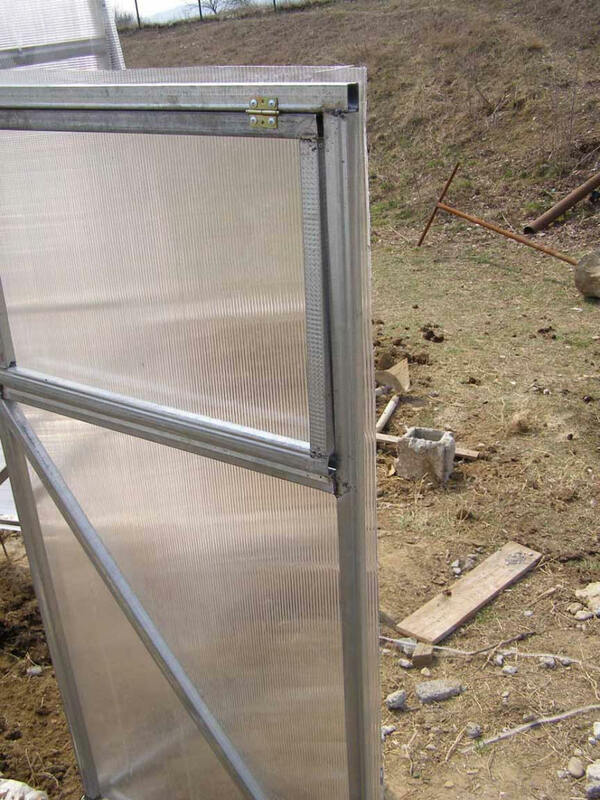 The metal framing is erected and completely welded. 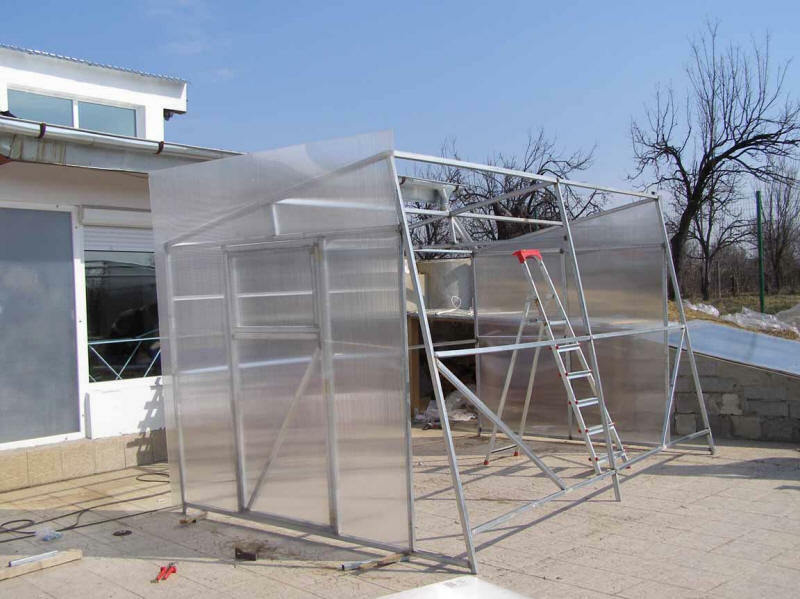 The frame design was calculated according to polycarbonate sheet dimensions. In the end, I had less then 0.25sqm scraps of polycarbonate. 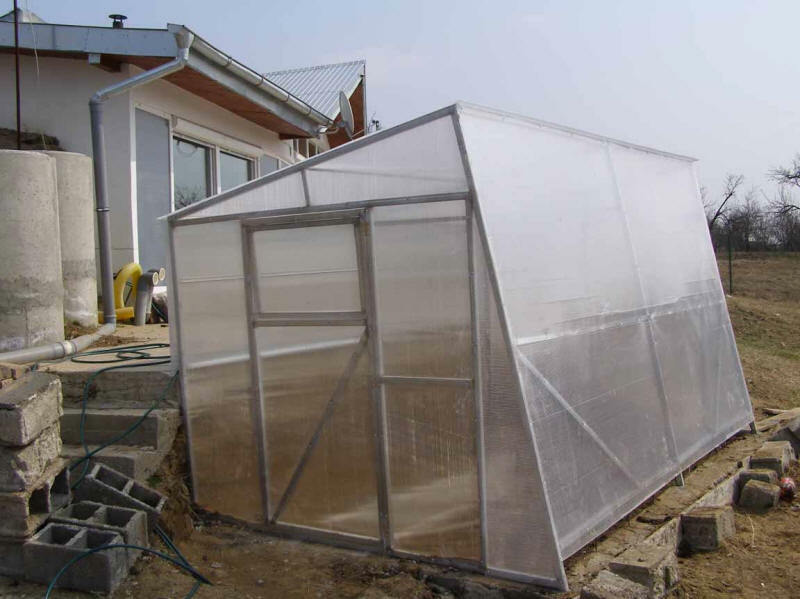 The polycarbonate has a long life and a good UV resistance compared to PVC foil. 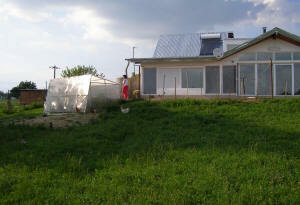 The foundation was made from scrap concrete blocks. Some "J" shape 8mm wire was placed between concrete blocks and welded to metal frame. 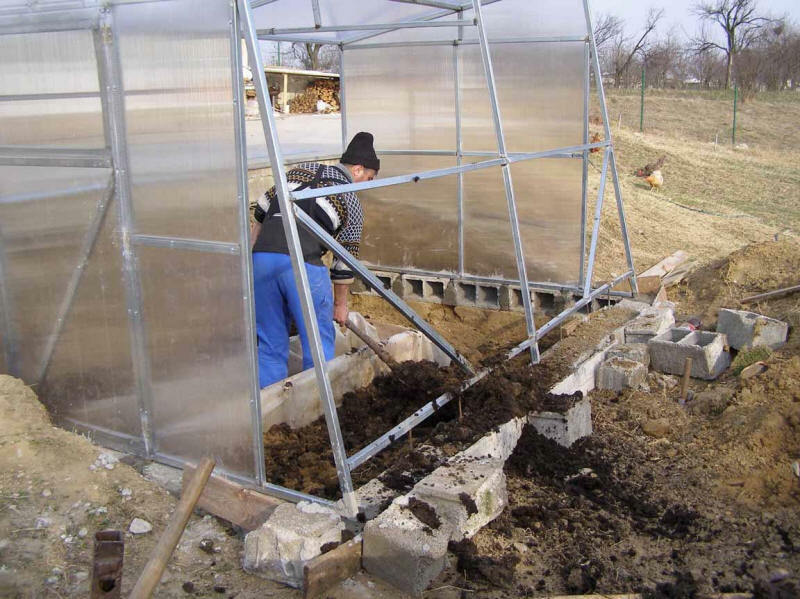 Concrete was poured between concrete blocks to fix together the foundation and the frame. A walking alley was bordered with scrap wood boards covered with PVC foil. 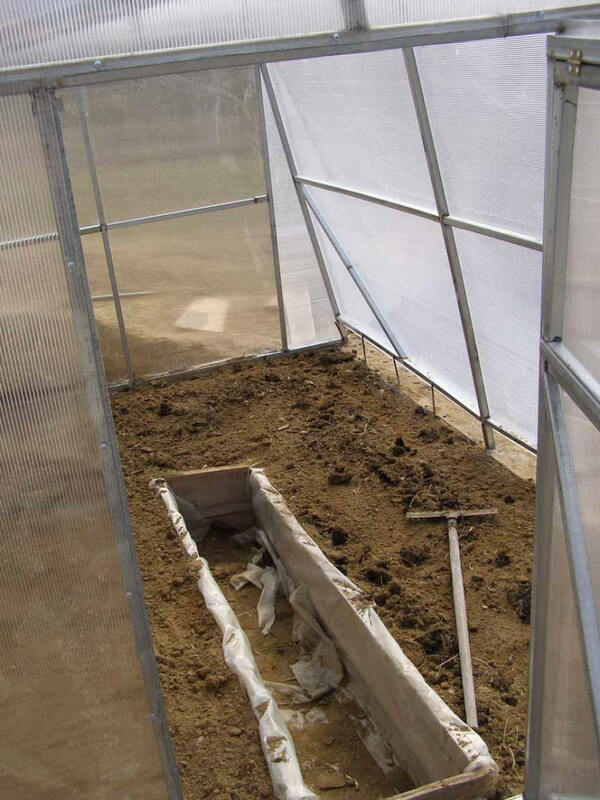 Outside the alley, the hole was filled with fermented manure and soil. 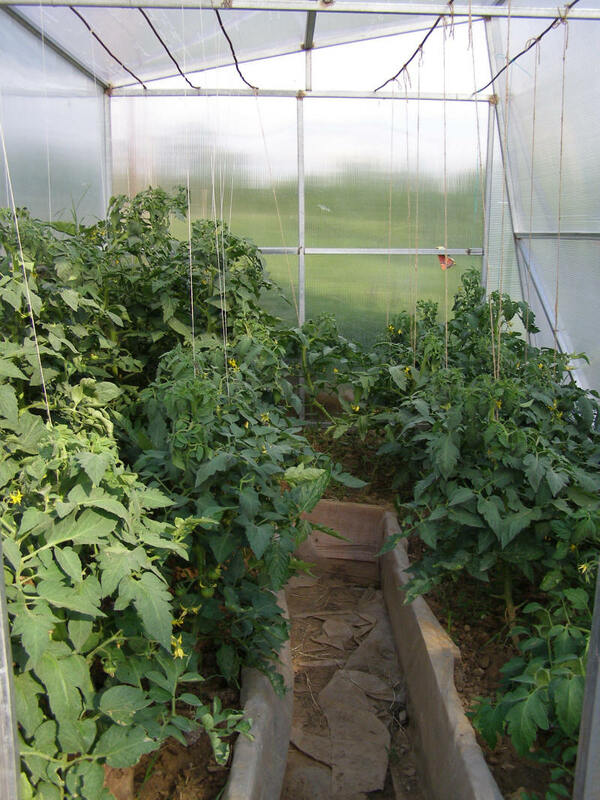 The green house has been completely covered with polycarbonate. Polycarbonate was cut around the door and window with 1cm edge for a good seal.